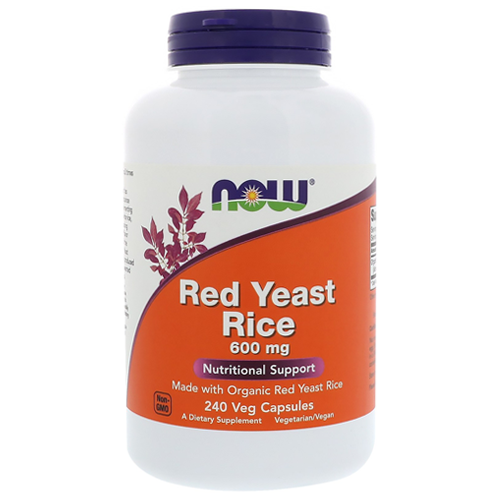 Red Yeast Rice is a natural product that has been used in traditional Asian medicine for centuries. It is produced by fermenting red yeast (Monascus purpureus) with white rice. The resulting product can be used as a food colouring or flavour enhancer but also as a medicine as it contains several beneficial ingredients such as monacolin K, sterols, isoflavones, and monounsaturated fatty acids (healthy fats). 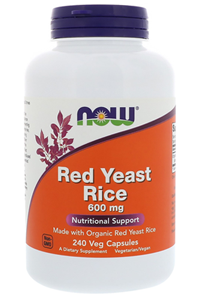 Now Foods Red Yeast Rice is made with certified organic red yeast rice and is a vegetarian and GMP quality assured food supplement. As a dietary supplement, take 2 Vcaps 1 to 2 times daily, preferably with food. Vegetable polysaccharide (capsule) and magnesium stearate (vegetable source). Contains soy derivative. Contains no sugar, salt, wheat, gluten, milk, egg, shellfish or preservatives. Do not use if you are pregnant, may become pregnant, or are breastfeeding, because using this product may harm the fetus. Individuals with liver disease or those currently taking statins or other medications should consult with a health practitioner prior to use.